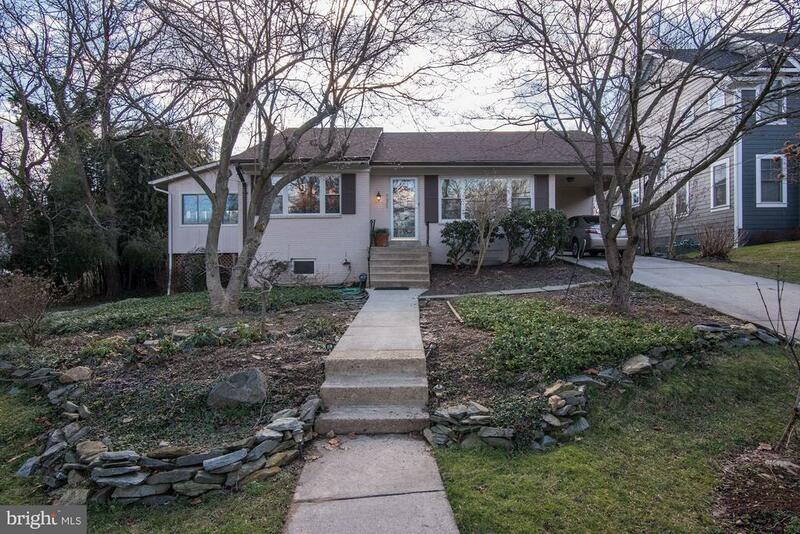 Welcome to this charming and spacious four bedroom home in Bethesda. The contemporary living room with expansive windows, hardwood floors, and modern built-ins sets the stage for this cheerful home. The dining room with drop pendant lighting opens to the generous kitchen with new appliances. A familyroom off the kitchen, which opens to the deck, offers additional space for relaxation and entertaining. Upstairs are three ample bedrooms with two bathrooms. The walkout lower level streams with light. The recreation room features a fireplace, one bedroom, one full bathroom, and ample storage space. Outside not only offers a yard with room to play but also a good-sized, in-ground swimming pool, in addition to a deck and patio area. Off-street parking completes this unique offering.